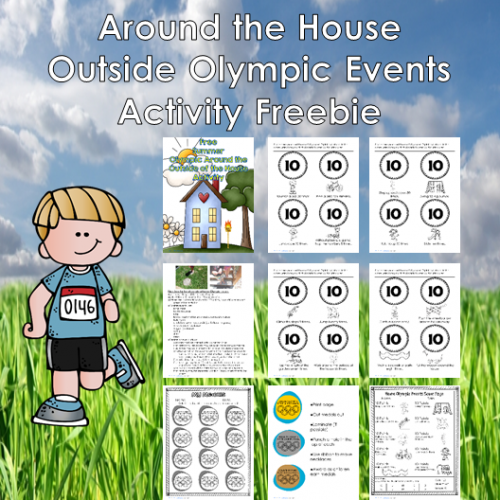 This post has an outside the house Olympic events activity printable PDF. 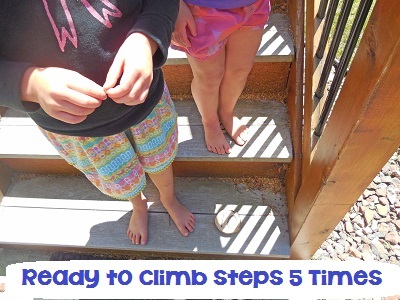 There are options and ideas for setting up a simple set of exercise activities at home to help keep the children busy this summer. Capitalize on the Olympic fever and actively engage the children to also exercise and be fit. 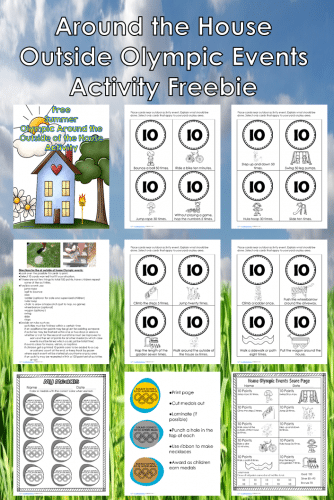 These activities are similar to the playground events I wrote about previously. However, this idea has more pages and resources. 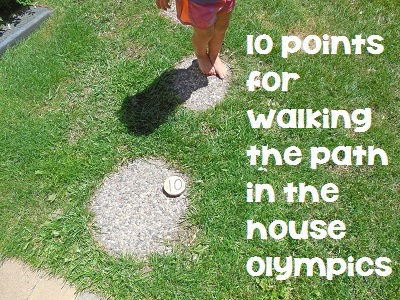 See more Olympic theme freebies on this page. The printable offers 16 different options. Select 10 for your own house events. Select ones that are possible at your house for the children to try. One option is to have children walk a path you select eight times, for instance. 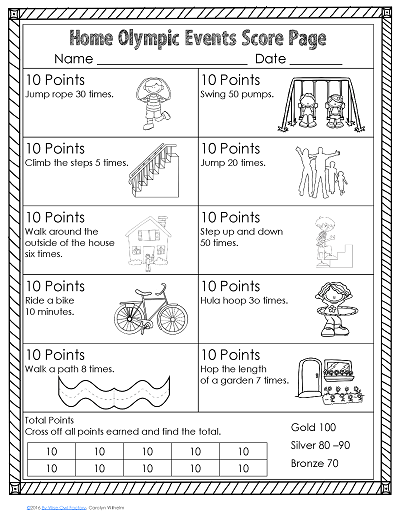 The idea is to complete 10 events, earn 100 points, and color in a gold medal. Printable medals are included, also. Because I wanted this to work at a variety of homes, some decisions will be up to you. Look over the possible 16 cards to print. Select 10 cards wanted that fit your situation. If there are not ten things to total 100 points, have children repeat some of the activities. There is an optional recording page. 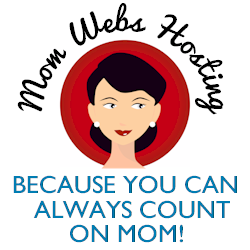 Alternatively, children may be handed a 10 point card per event to save in a cup or pail during the events. The points would be added at the end of the activities. I hope you find this useful and that it keeps the children busy! 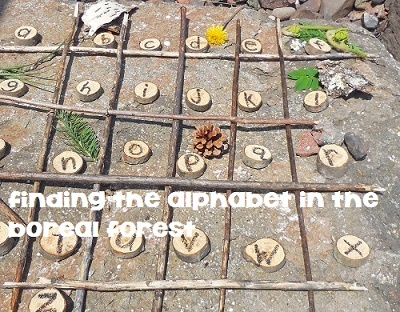 You might also like our outdoor math activities learning post and free printable. 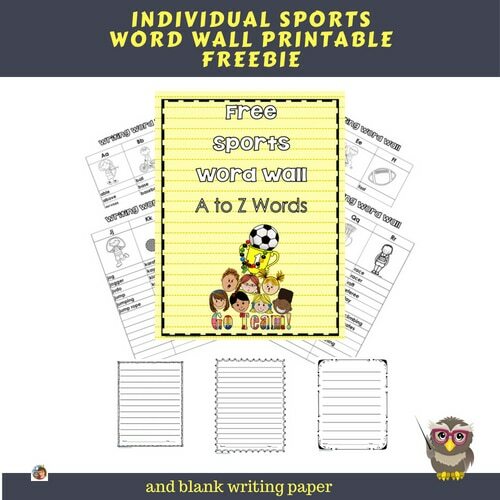 You might also like the individual sports word wall free printable. 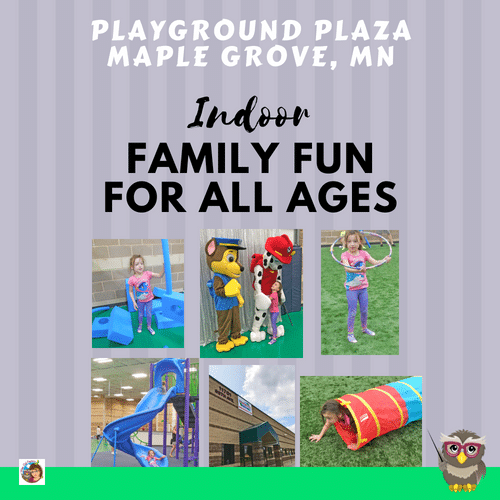 On a rainy day, you might like to visit an indoor playground.